Made with CBD isolate and the finished product is Lab tested. 2 Mini Cups per Package - 100mg Each Peanut Butter Cup. Mini CBD Peanut Butter Cups Coated in Milk Chocolate Made with CBD isolate and the finished product is Lab tested. 2 Mini Cups per Package - 100mg Each Peanut Butter Cup. 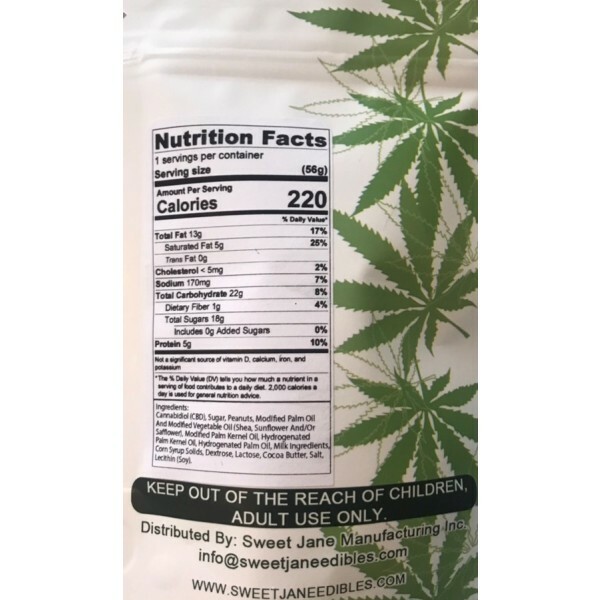 200mg CBD total per Package Fully decarboxylate oil; Each and every batch is lab tested so you know exactly what you are ingesting. 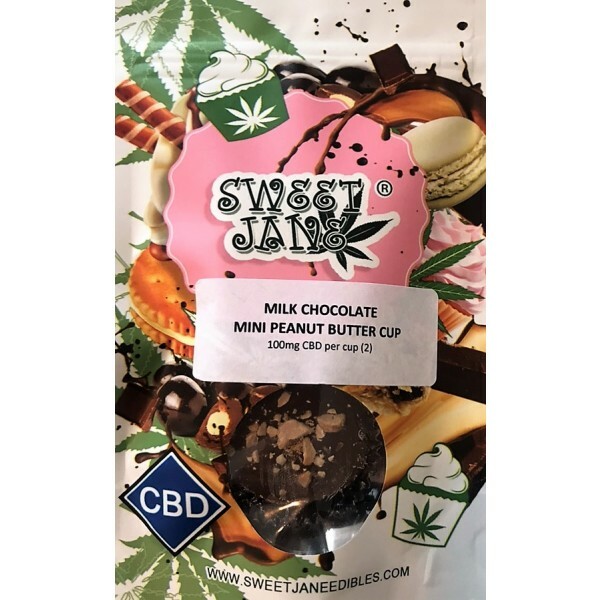 Sweet Jane has perfected their process to consistently make the safest pharmaceutical grad CBD Extract possible while activating 98%+ of the available cannabinoids.